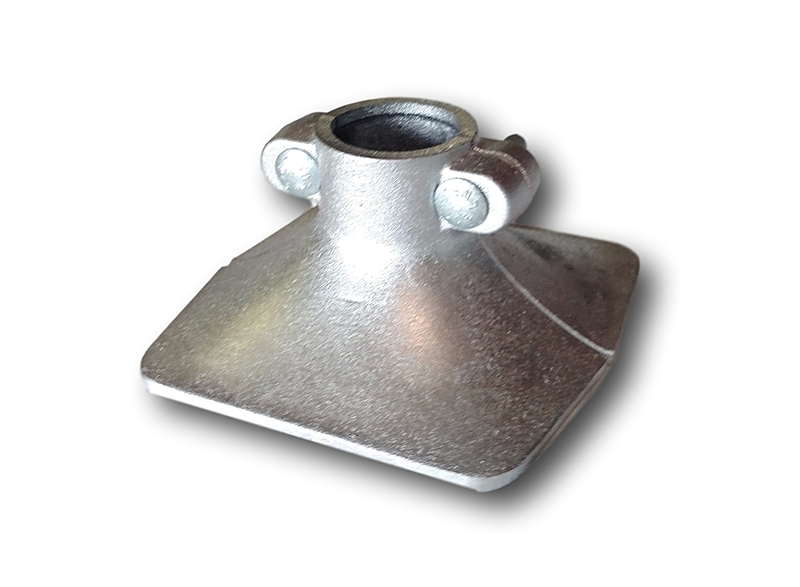 This fully adjustable 7” plate can be used on sand or light muck and eliminates augering when used with a stringer bracket. In heavier muck the bottom plate can be mounted a few feet up the post and then “jammed” into the muck. These two-piece castings clamp perfectly square and are far more secure than competitive one piece units using simple thumb screws. Switch to bottom plates for easier installation and only auger where needed to hold a boat. Our standard 211 bottom plates are designed for 2” diameter posts but a 1 7/8” diameter version can be specified. I haven't used this yet as there's still ice on the lake.However, I was pleased with the way this and my other items fit together. It looks like it will work well and it was a very fair priced compared to local suppliers. Thank you. I have had this dock when I purchased this cabin in 1982. I don't know how old it was in 1982. I've added a few sections. It is still going strong. I needed this replacement part to change from an auger to the bottom plate. Great dock system.